Box office history was made when Marvel Studios’ “Avengers: Infinity War” shattered all opening records, surpassed the $2 billion mark at the global box office in just 48 days, and remains the fourth highest-grossing film of all time. Now, the cinematic event 10 years in the making comes home on Blu-ray on Aug. 14 with more than two hours of bonus. It also is now available on digital platforms. Members from every MCU franchise must sacrifice like never before in an attempt to defeat the powerful Thanos before his blitz of devastation and ruin puts an end to the universe. The film stars Robert Downey Jr. as Tony Stark/Iron Man, Chris Hemsworth as Thor, Mark Ruffalo as Bruce Banner/The Hulk, Chris Evans as Steve Rogers/Captain America, Scarlett Johansson as Natasha Romanoff/Black Widow, Don Cheadle as Colonel James Rhodes/War Machine, Benedict Cumberbatch as Doctor Strange, Tom Holland as Peter Parker/Spider-Man, Chadwick Boseman as T’Challa/Black Panther, Zoe Saldana as Gamora, Karen Gillan as Nebula, Tom Hiddleston as Loki, Paul Bettany as Vision, Elizabeth Olsen as Wanda Maximoff/Scarlet Witch, Anthony Mackie as Sam Wilson/Falcon, Sebastian Stan as Bucky Barnes/Winter Soldier, Idris Elba as Heimdall, Danai Gurira as Okoye, Peter Dinklage as Eitri, Benedict Wong as Wong, Pom Klementieff as Mantis, Dave Bautista as Drax, featuring Vin Diesel as Groot, Bradley Cooper as Rocket, with Gwyneth Paltrow as Pepper Potts, with Benicio Del Toro as The Collector, with Josh Brolin as Thanos, and Chris Pratt as Peter Quill/Star-Lord. Marvel Studios’ “Avengers: Infinity War” is directed by Emmy Award–winning directors Anthony and Joe Russo from an original screenplay by Christopher Markus and Stephen McFeely. The home entertainment editions are packaged several ways so that fans get the most out of their viewing experience. Consumers who experience the ultimate showdown digitally can view a 30-minute roundtable with MCU directors Russos, Jon Favreau, Joss Whedon, James Gunn, Ryan Coogler, Peyton Reed and Taika Waititi reflecting on how their movies contribute to the MCU’s larger storytelling adventure. 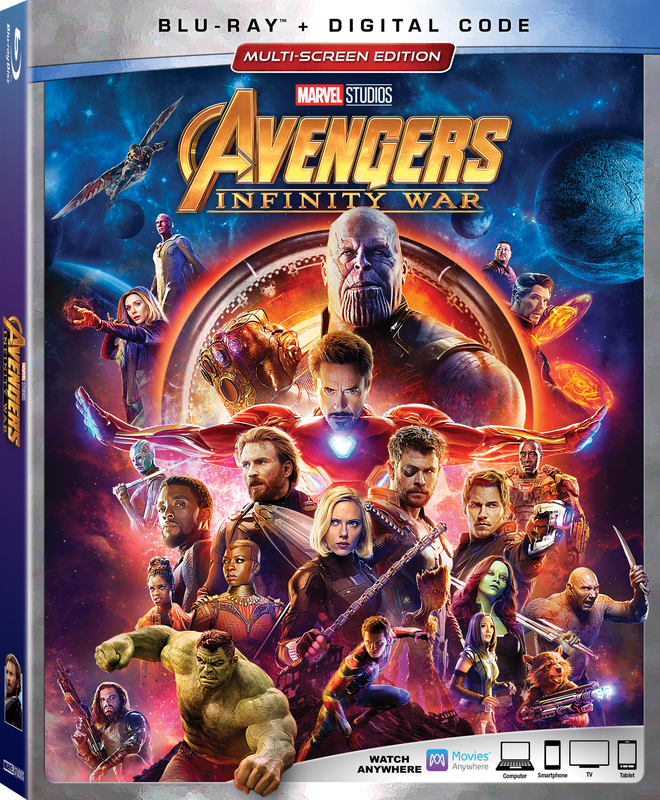 The 4K Cinematic Universe Edition’s never-before-seen bonus material grants behind-the-scenes access to MCU members and features the memorable moments when characters first meet, the rationale behind some unexpected on-screen pair-ups and a funny superhero gag reel. Featurettes explore the frighteningly powerful Thanos and two action-packed attempts to prevent his collection of all six Infinity Stones: the struggle on Titan and the massive battle in Wakanda. Deleted scenes and filmmaker commentary reveal even more on-set secrets. Academy Award-winner Geoffrey Rush (“Shine”) and Armie Hammer (Call Me By Your Name”) star in the compelling story about artistic genius and the search for creative perfection in “Final Portrait,” now available on DVD and digital from Sony Pictures Home Entertainment. Adapted from James Lord’s memoir “A Giacometti Portrait,” the film is set in 1964 in which American writer and art-lover James Lord is asked by his friend, the world-renowned artist Alberto Giacometti, to sit for a portrait while on a short visit to Paris. The process, Giacometti assures Lord, will take only a few days. Flattered and intrigued, Lord agrees. So begins not only the story of a touching and offbeat friendship, but, seen through the eyes of Lord, a uniquely revealing insight into the beauty, frustration, profundity and, at times, downright chaos of the artistic process. “Final Portrait” is a bewitching portrait of a genius, and of a friendship between two men who are utterly different, yet increasingly bonded through a single, ever-evolving act of creativity. It is a film which shines a light on the artistic process itself, by turns exhilarating, exasperating and bewildering, questioning whether the gift of a great artist is a blessing or a curse.Adapted from Lord’s memoir, “Final Portrait” was written and directed by Stanley Tucci (“The Hunger Games” franchise) It also stars Golden Globe-winner Tony Shalhoub (“Monk”), Sylvie Testud (“La Vie en Rose”) and Clemence Poesy (“In Bruges”). The DVD release of “Final Portrait” includes interview clips from the cast and filmmakers, plus behind the scenes footage from the set. A gripping thriller that combines love, lust, and political scandal, “Affairs of State” arrives on Blu-ray (plus Digital), DVD, and Digital Tuesday Aug. 14 from Lionsgate. This film currently is available On Demand. A young Washington aide Michael Lawson (David Corenswet) will do anything to take part in Senator Baines’s (David James Elliott) White House campaign, including blackmailing Baines’s shady advisor (Adrian Grenier) and sleeping with the candidate’s wife (Mimi Rogers). But when he gets involved with the senator’s alluring daughter, Lawson (Grace Victoria Cox) learns his dangerous game could have a deadly payoff. The political thriller also stars Thora Birch. The film is directed by Eric Bross from a screenplay by Tom Cudworth. The home entertainment editions include a director’s commentary with director Bross along with deleted scenes and a trailer gallery. The “Affairs of State” Blu-ray and DVD will be available for the suggested retail price of $21.99 and $19.98, respectively. Higher Power, the visually rich sci-fi thriller, starring Ron Eldard (“Super 8”) and Colm Feore (“24”) will be available on 4K Blu-Ray, Blu-ray, DVD and Digital 4K on Tuesday Aug. 14, from Magnolia Home Entertainment under the Magnet label. 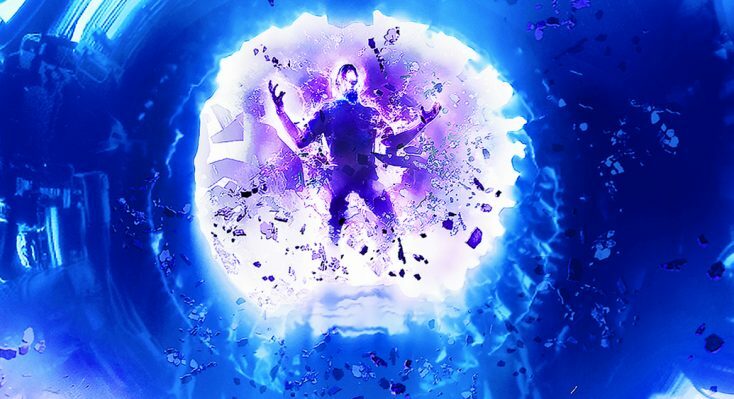 Visual effects artist Matthew Santoro makes his directorial debut with “Higher Power,” the story of Joseph Steadman (Eldard), a man who suddenly finds himself under the command of a mad scientist (Colm Feore) and on a mission that can alter the fate of his family and the world. Equipped with new superpowers and under the thumb of the seemingly omniscient scientist, Joseph does all he can to protect his daughters from the man who bargains with their lives in a mysterious quest meant to save all of humanity. Director Matthew Santoro uses his professional background with effects-heavy major motion pictures to develop a stunning world of supernatural abilities and consequences, one in which a reluctant man must overcome his past in order to find his higher power. “Higher Power” will be available on 4K Blu-ray Combo Pack, Blu-ray and DVD for the suggested retail prices of $34.98, $29.98 and $26.98, respectively, and on Digital 4K from digital retailers on Aug. 14. Calling all Marvel fans! Front Row Features is giving away one of the most eagerly anticipated home video releases of the year, “Avengers: Infinity War,” on Blu-ray to three lucky readers. To enter the contest, simply email socalmovieeditor@aol.com by Tuesday Aug. 21 with your favorite Marvel superhero (or villain) in the body of the email. Additionally, we are giving away three copies of the recently released film “Final Portrait” on DVD, based on the true story of famed artist Alberto Giacometti. To enter the contest, simply email socalmovieeditor@aol.com by Tuesday Aug. 21 with the name of the movie in the subject line for your chance to win. Good luck! Next PostPhotos: ‘Avengers: Infinity War,’ ‘Affairs of State,’ More on Home Entertainment … Plus Giveaways!